WHEN Tracey Shaw went to prison 12 years ago for torching her Germantown rowhouse in a blaze that killed six children, her new neighbors weren't shy in showing their disgust for her. They flicked lighters when she walked past. They threw water under her cell door. They said seizures that started after her incarceration were retribution from God. "I don't mingle a lot with people here, and that's my choice. When I first came here, it was hell," Shaw said from the State Correctional Facility at Muncy, in north-central Pennsylvania. 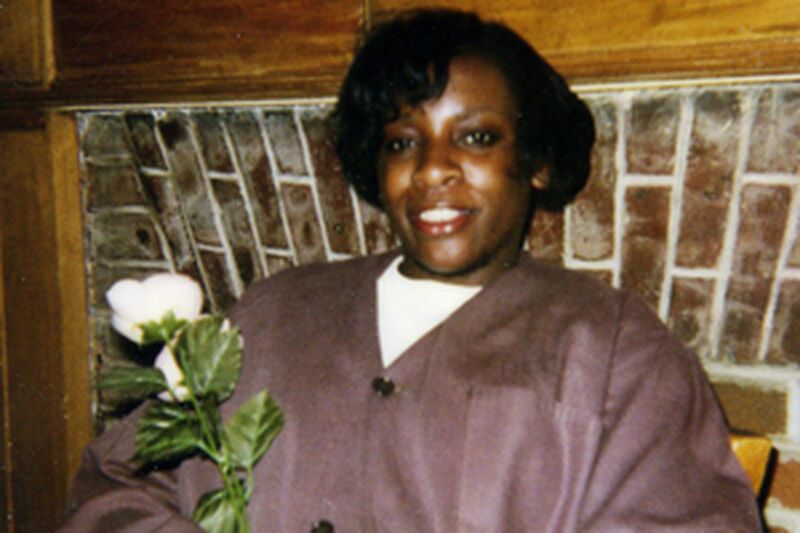 Twelve years have passed since Shaw's four children and two godchildren died in the Dec. 23, 1994, arson, for which she was convicted of murder and sentenced to six consecutive life terms. She still steadfastly maintains her innocence, claiming now - as she did throughout the investigation and trial - that her abusive ex-boyfriend set the fatal fire to avenge their breakup. She later claimed her ex-beau was driven to kill so he could pocket a $25,000 life-insurance payout on the children. Experts say many baby killers refuse to admit their crime, living in denial because they can't face the horror of their actions. Shaw's prison peers don't care about her claims of railroaded justice. She's an outcast among outcasts, reviled by other inmates who despise those who victimize children as the lowest of low. Shaw has carefully crafted a hermitic life behind bars in which she deflects her jailmates' jeers with a self-imposed seclusion. She eats most meals in her cell, using her radiator to warm soup, rice and beans and other grub bought at the commissary with cash her relatives mail her. She avoids close friendships. She spends her free time watching Court TV in her cell. She has become a devout Muslim, wearing her head scarf and meditating daily. "They don't really matter to me," said Shaw, 38, of the inmates. "What matters to me is that my family knows and Ronald knows that I didn't do it. They're my support system." Ronald is Ronald Holman, 72, a steadfast but surprising source of support considering his connection to the case. He is the father of 4-year-old Shawn and 2-year-old Mary Holman, two of the six children Shaw was convicted of killing. "He keeps me going. When I'm having these bad days in here, I can call him," Shaw said. Holman sends Shaw cash monthly, visits at least twice a year and continues to write letters and make phone calls proclaiming her innocence to anyone who will listen. Holman professes his devotion and love for Shaw with earnestness. But his is a love born of family ties, not romance, he said. "She's the mother of my children, so I will always love Tracey," said Holman, a Mount Airy resident who works as a custodian at Philadelphia International Airport. "I support her because I love her. But I also support her because this is about getting justice for my children. Tracey Shaw did not kill my children. The wrong person is in jail." Shaw has run out of appeals and money to fund her fight but keeps busy working to overturn her conviction and win freedom. With the help of relatives and friends outside the prison, she has secured affidavits from several witnesses who testified against her in 1995 but now recant statements implicating her. The prosecutor who convicted her said he remains convinced Shaw is guilty. "I never had any doubts whatsoever, not only that the facts overwhelmingly show that she did it, but from a nonlegal, true person-to-person standpoint: I really believe that she did it," said Richard Carroll, now a real-estate attorney in Philadelphia. Carroll called Shaw's accusations implicating her ex-boyfriend "hogwash." "People who have been convicted of heinous crimes and have exhausted their appeals have to come up with newly discovered evidence to get themselves back in the courts," Carroll said. "They have nothing else to do but dream up new theories to present to their lawyers." A former exotic dancer and drug-addicted single mother, Shaw knows she's not the most sympathetic convict. She blames her predicament on drugs, hard times and poor judgment. Raped at age 13, she said she turned to drugs for comfort, a therapy that quickly turned to addiction. She dropped out of Germantown High School and had her first child at age 17. She was raped several times and devastated by her mother's death several months before the fatal fire, she said. Shaw remains convinced today that her drug addiction helped convict her. She was drunk and high on cocaine the night her children died. She still mourns her children and wonders what they would have been like today. Eight-year-old Catria liked to dance, she said. Jerra, 6, was an avid reader who her mother imagined would become a teacher. Shawn liked to play basketball. Mary's future is harder to imagine. At age 2, she doted on her siblings and followed them around. Neighbors Inez and Linda Lassiter, ages 15 and 11, were baby-sitting and died in the blaze. Their mother, who celebrated Shaw's conviction in 1995, couldn't be reached for comment. Shaw's youngest child - a 6-month-old named Nathaniel who she carried out of her burning house - is now 12. His adoptive parents used to bring him for visits but stopped when he was about 5 and don't respond to the letters and birthday cards Shaw still sends. "I wonder what they are telling him about me," she said. "If I'm not out of here by the time he's 18, then I'm going to hire an investigator to find him" to re-establish a relationship. She has plenty of regrets. She wishes she'd never met the ex-boyfriend she contends set the fatal fire. She laments that she wasn't strong enough to stay sober. She's angry she followed her attorney's advice to not testify at her trial. "I put myself in the jurors' shoes - I would have wanted to hear from the person accused of this crime," she said. Still, she's hopeful she'll someday be exonerated. She plans to take the high school equivalency test this month and dreams of working with battered women, if she's ever freed.